In this article, the cryogenic technology of Command & Conquer will be examined to see how it compares with the real sciences. Red Alert 3 is the only game in the series to really feature cryogenics. To start with, Red Alert 3 was never designed with realism in mind. Everyone already knows the technology is completely goofy and far from what is practical in the real world, and the cryo technology is no exception. Nevertheless, cryogenics is an interesting enough topic that we will cover it anyway to see just how unrealistic it is. First a baseline will need to be set as to what temperatures cryogenics entails. It is not strictly defined, but a common temperature is -150 °C (-238 °F). Perhaps the single largest issue with the cryogenic technology in Command & Conquer, is the speed of heat exchange. Cold is not a “thing,” it is the absence of a thing, which is heat energy. Thus to make something cooler, you cannot just add cold, you must remove heat, and the law of conservation of energy requires that the heat being removed has to go somewhere else. The rate at which heat transfers is determined by the thermal conductivity of the object, but more importantly, the difference in temperature between the hotter and colder areas. So to cool things faster, the colder the cold source is, the better. Unfortunately, within the grand scheme of things, body temperature is already pretty close to absolute zero, and since you can’t get any colder than that, this puts a major limit on how fast bodies can be frozen. The mechanics of the cryo technologies are poorly established, but the Cryocopter’s unit profile stated its weapon drew out heat while spraying the target with pure water and a burst of liquid helium. Additionally, the Cryo Legionnaire’s states that their weapon is based on the Cryocopter’s and that it absorbs 99% of all heat in a fixed area. As already mentioned above, heat has to go somewhere, and the descriptions seem to be implying the heat is transferred back into the weapon. This would result in a tremendous amount of heat getting focused into a relatively tiny weapon. The amount of energy that would need to be removed from a single person weighing the world average of 62 kg (136.7 lbs) to bring them from normal body temperature of 37 °C (99 °F) to -150 °C (-238 °F) would be approximately equal to 11.6 kg (25.5 lbs) of TNT, about double the power of a 155mm high explosive artillery shell. 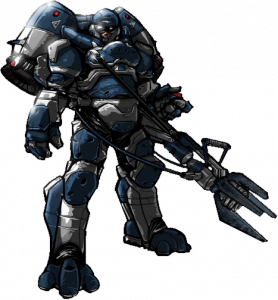 Considering soldiers are generally larger than average, and the Cryo Legionnaire can freeze several people simultaneously, he should be sucking up enough energy to level a small building. The target is also being sprayed with water and liquid helium though, so those must be taking in some of the heat too. Frankly, the water is irrelevant and a waste of space, especially for the Cryo Legionnaire’s very limited space in his small back tanks. We might as well just pretend water was never mentioned and it is just pure liquid helium. Assuming paper thin insolation, the two back tanks could hold somewhere around 100 L (26.4 gal) of liquid helium. The liquid first has to be converted into a gas, which requires energy, then heated up to body temperature, using up more energy. In a perfect world scenario where the helium absorbs only the heat of the victim, the back tanks could theoretically cryogenically freeze around three humans. Unfortunately, in an imperfect world like we inhabit, the liquid helium would be boiling away as it flew through the air and would be repelled from the scorching heat of human flesh. Almost none of it would stick around long enough to do very much more than cause some local frostbite. Since the Cryo Legionnaire sprays his weapon in a wide arc, he’d be lucky to do more to an enemy than merely making them angry before his tanks completely emptied. 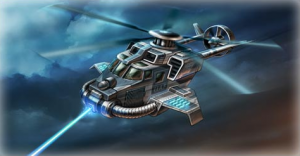 The Cryocopter presents a more puzzling case, as its weapon is a very rigid beam, even ignoring the effects of gravity as a laminar flow would be subject to. This seems to indicate that there is some sort of containment field holding together the beam’s integrity. Such a containment field may also vastly improve the efficiency of heat transfer between the target and the helium. The Cryoshot satellite has a similar beam, but it would need to remain stable all the way from orbit to the ground, and has an area of effect, which negates most of the efficiency a containment field would offer. As an up side, so long as it kept its storage tanks away from the sunlight, it’d be easier to keep the helium cold in space. If these beams were capable of forcing heat energy from the target into a medium of liquid helium at a rate of a million degrees per second, fast enough to reach the glass transition temperature of water within milliseconds, it would actually cause the water inside people to vitrify into amorphous ice, a requirement to preserve flesh that is normally accomplished using chemicals called cryoprotectants. This means if the technology to speed up heat transference existed, a human could be flash frozen almost instantly without tissue damage. Thawing back out without the benefit of heat transferring technology should be far slower, however, and would almost certainly result in death, as the brain would thaw before the heart. If an enemy was frozen though, could they really shatter by shooting them or smashing them with the shockwave of a Cryo Legionnaire’s Boost Kick? Not really. Although frozen flesh is certainly more brittle and can shatter, it is more likely a bullet would only chip off fragments, or pass through cleanly if it was a penetrator. The victim also won’t bleed out as long as their blood is solidified, and if kept frozen, a medical team would have plenty of time to do what they could to repair the damage before thawing the victim out. 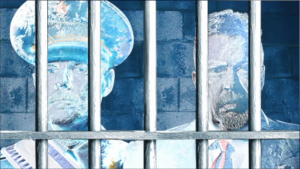 As a final note, the Allies also used their cryo technology for a cryoprison. This actually wouldn’t be very impractical from a technical standpoint if the technology to flash freeze humans already existed. With proper insolation, keeping the occupants cold would not be a significant issue. Additionally, prisoners would take up minimal space and they would not need any food or even oxygen to breathe. There doesn’t seem to be much point though, freezing a prisoner is only delaying whatever fate is ultimately in store for them, whether that might be life or death.